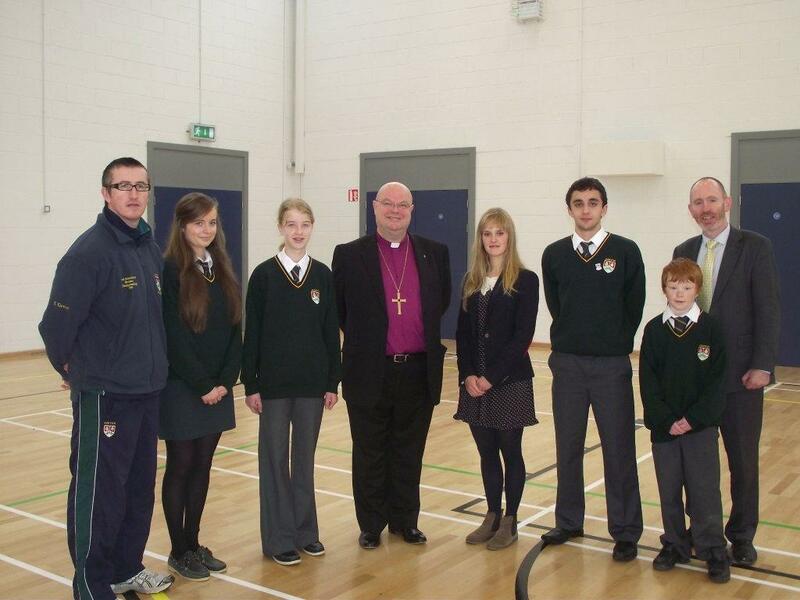 On Wednesday, 7th November, the Bishop of Cork, the Right Reverend Paul Colton, dedicated the refurbished sports hall at Ashton Comprehensive School, Cork. Photographed l-r with the Bishop (centre) are: Eddie Kirwan Head of P.E., Katie Sheehan, Head Girl, Christine Dring First Year, Ali O’Regan P.E. teacher, Gary Wilkinson Head Boy, Adrian Landen Principal, and Alastair Swanton First Year.